As cheerleaders, we know that cheering is by no means limited to the realms of the gym or the arena: we cheer where we want, when we want. Sometimes it serves as a means to an end and sometimes we just feel the urge to showcase our skills. We don’t see location as a burden, but rather, something to take advantage of and conquer. 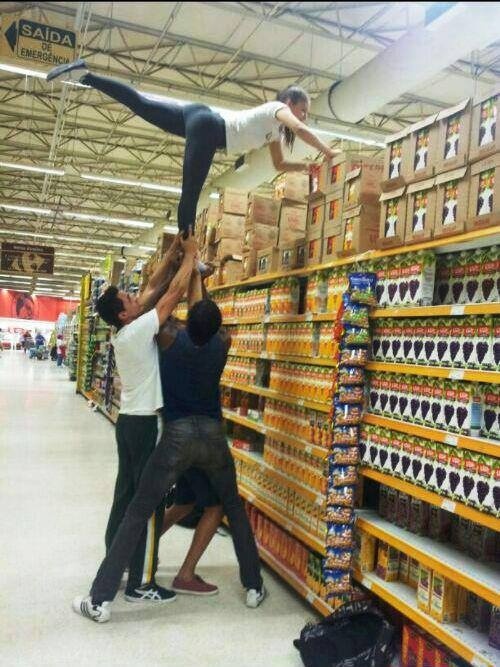 You think we can’t throw up a stunt in the middle of the grocery store? Think again. Think we won’t tumble across the beach? We will do that too. Today’s cheerleaders see the world as their stomping ground, and they prove that there are no boundaries to doing what they love. Don’t believe me? 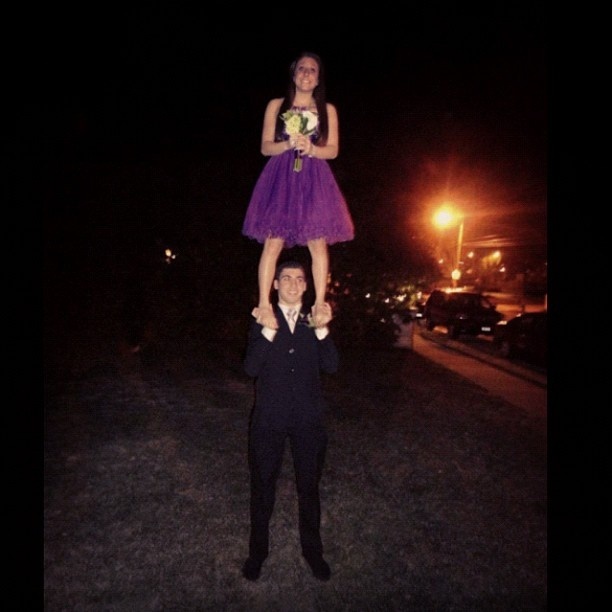 Take a look at these fierce cheerleaders flaunting their finesse just about everywhere. 1. The beach is a long time favorite when it comes to cheering outside the gym. the beach is a classic go-to location for cheerleaders. 2. Like the beach, the pool is another favorite location of cheerleaders to practice. pools make for a sweet spot to exhibit our favorite cheer moves. 3. Cheering at the store is probably something that emerged as need-based practice. 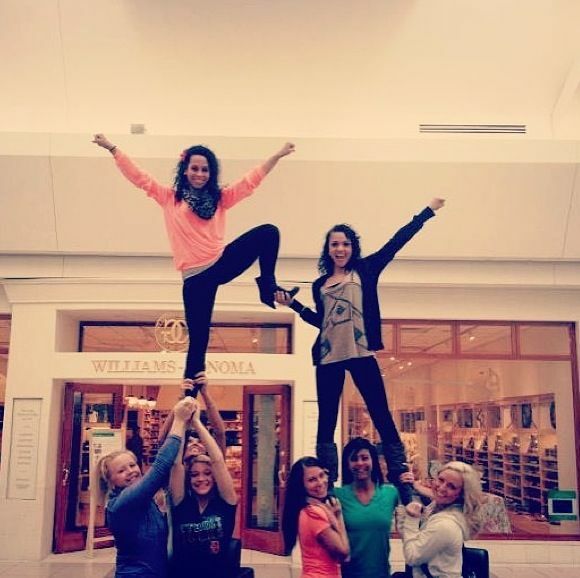 Multitask by practicing at the mall: stunt and shop! 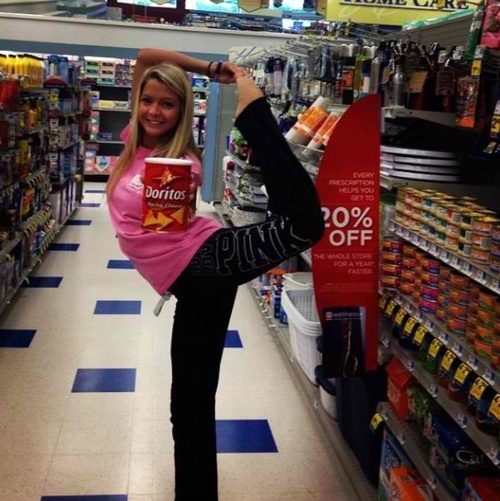 Cheering at the store may have been peculiar a few years ago, but today it is just another place where you can find cheerleaders using their skills. 4. Travelling is fun but cliche tourist photos are not. 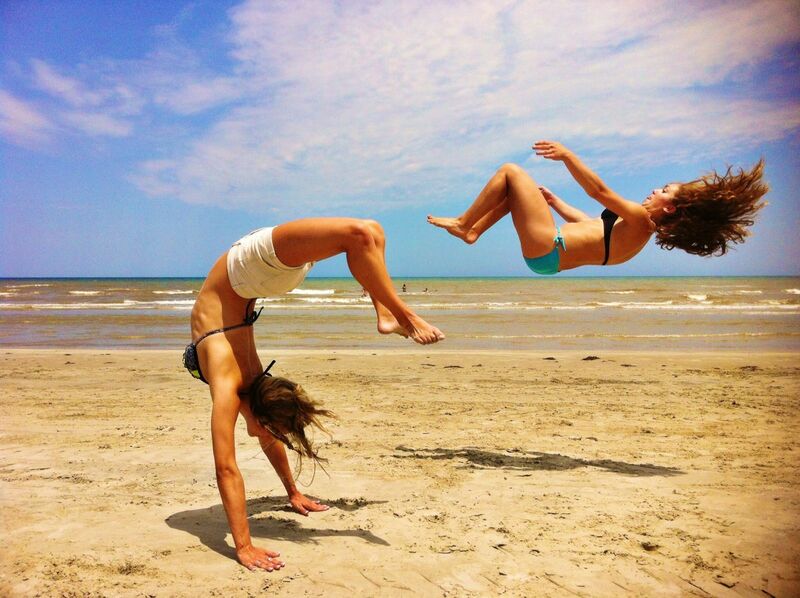 Cheerleaders have solved this problem by showcasing their talent while posing for vacation photos. 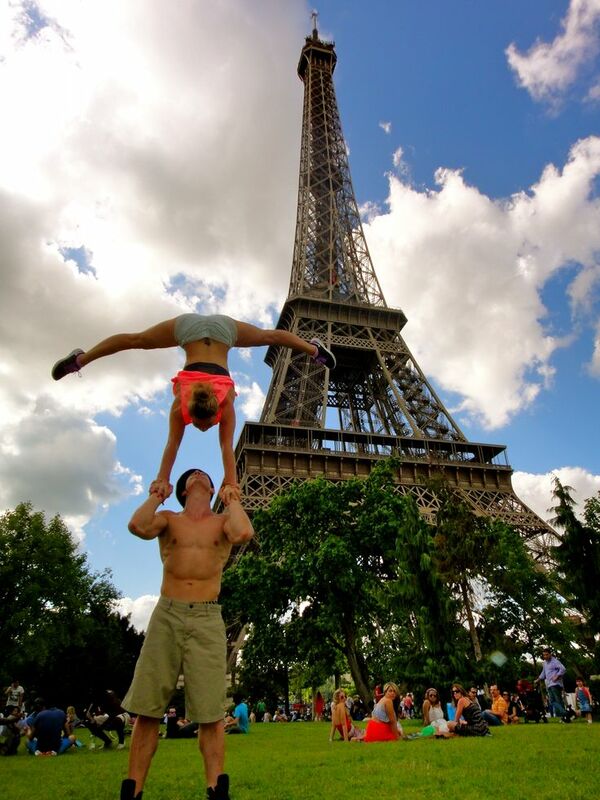 Cheerleader’s bring cheer to destinations around the world! No occasion is off limits! Where is the craziest place that you have cheered? Let me know in the comments section or via email: melissa@cheersounds.com!